1) Improve hell gates. Hell gates are a great idea implimented poorly. it forces people to stand around doing nothing while you wait for the boss. The mobs are to low level to get fame and the drops are sub par. scale up the monsters baised on zone. redzones should be t6 monsters and black zones should be t7. also there should be an alter where the boss spawns that has a 1-2 minute channel. if unitterupted then the boss will spawn. forcing people to stand around for 15 minutes waiting for a boss is a terrible game mechanic. 2) gvg need some work. the node capping is pretty lame. having to lose20% of your team to try and cap something that can be stopped with one auto attack is silly. specially when there is no death timers. possible solution. nodes should slowly cap in the favor of the team with the most people around the node. sort of like dominion in league of legends. 3) remove multiple charcters. when you only have one charcter your more accountable. if you want to lie steal and cheat you and your only character should be held accountable. but when you have multiple characters its easy to hide. This also solves the problem of gvgers going in gvg with multiple characters. what is the point of a 24 hour lock out period if i can just switch characters and im good to go again? by removing multiple characters you are giving more players the chance to gvg and that elite team of 5 cant defend/attack everything. 4) add a territory cap. a guild should not be able to own the entire map. it would be nice if you were that one guild but it is not good for the health of the game. a guild should be capped at 25-40 territories so they have to actually pick the ones they want and cannot own everything. of course the best territories will always be sought after. 5) limit guild allainces to 3. this will hopefuly address part of the zerg issue. it will also force guilds to consider there alliances a little bit closer. 6) rebalance skills and cooldowns. having skills that you can use one per minute as one of your 7 skills is fucked. albion would be a much better game if all the cooldowns were between 1-20 seconds. 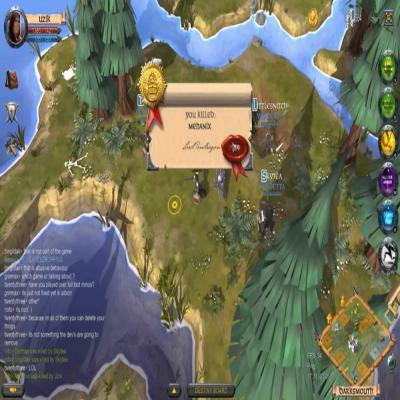 people want to use multiple skills and have there skill as a player shown. not that there emergency heal was on cd and they lost because of it. many people would prefer a much smaller heal that you could use mulitple times in a fight instead of one big heal every minute(this was an example that just happends to use healing. this is the case for damaging spells. buffs. debuffs. and all other skills and spells. 7) keep the .2 and .3 armors but add different skills and passives to them. similir to the weapon trees. also clean up the destiny board so its more straight forward and less confusing. reduce the time it takes you to unflag criminal in yellow zones or have criminal penalty removed on death. a lot of new people are trying to get there feet wet pvping in yellow zones. why punish this so harshly? specially if somes gears broke. its a waste of time and a lot of people just log off to wait out the criminal timer. 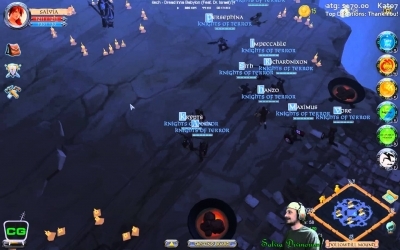 why are you forcing people to log off with broken gear to wait out criminal timers just because they wanted to practice open world pvp in a yellow zone for the first time. 9) you should always be able to zone in or out regardless if you attacked or not. the game does know if it was 1v1 1v10 or 10v1.. whats it matter anyways? let people zone in and out. 10) remove any dungeon inside territories. its to much safety and not balanced for the masses. 11) stagger castle chest timers. there should always be a castle to go find pvp at. if they were stagered this would be the case. since they are not staggered its pretty lame everything coming up at once. often you dont even find a fight. 12) add more black zones and reduce respawn timers. it takes mobs to long to respawn. 13) add open world objectives that can be fought for. think of champion spawns in ultima online. 14) reduce the fame grind to wear gear. the real grind should be the ability to obtain the gear. gear is expensive and can be lost easily. if the roadblock is the ability to not where the gear then people look down on the game and the grind. but if the roadblock is that the person cannot afford the gear it shifts the weight of blame away from the game and mechanics and refocuses the blame on the player when they cant compete or are out geared. 15) more skills and shorter cooldowns. this will promote player skill and diversity. a full set of gear should give a 2-4 more usable skills and anything with over a 20 second cooldown should be reevaluated. hitting a button once per minute is lame. hitting that same button 3 times in a minute (even if the ending total is exacly the same) adds more player skill to the game. 16) add different types of hellgates. hell gates are good because albion (sbi) can do whatever they want with them. they are instanced and can be controlled easily. 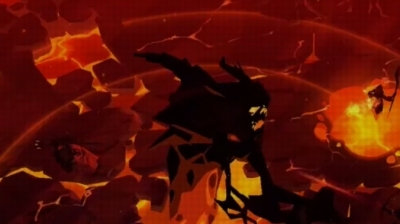 essentialy hellgates could be like battle grounds for any other game. except its better because to join them you still have to go into the open world. any hellgate in yellow red and black zones should always be full loot but theh can do some interesting things with hell gates. capure the flag. tug of war, king of the hill, fort capture, fort defense, all in 1v1 2v2 3v3 5v5 8v8 10v10 just to name a few. the idea is limitless. 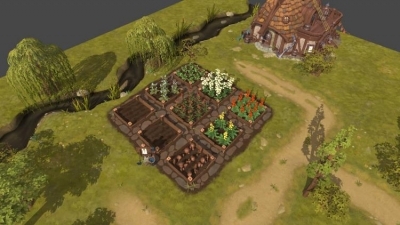 i know albion will be a success i just want to help the devs with some ideas along the way. these changes would greatly enhance my play time. i also only mentioned ideas that i felt would be fairly easy to code into the game. nothing i suggested is a total overhaul or rework to the core ideas of albions. 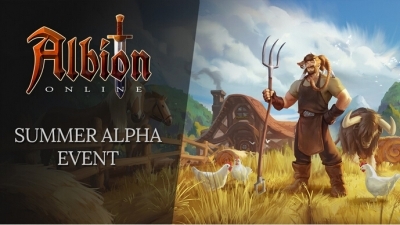 Though Albion Online is geared towards group PvPers, we want to dramatically diversify the player experience to cater to solo and PvE only players as well, to allow all kinds of players to enjoy Albion Online, whether they’re a veteran guildie, or a lone wolf. The new design of the Hellgates is pretty cool as you can see here on the Albion Online official website. There are five entry points into the Hellgates and it is going to be random as to where you spawn. Challenge yourself with intense, exhilarating PvP fighting with the greatest warriors in the open world of Albion.